Calling from China | Can I Use Skype, FaceTime or WhatsApp in China? Calling from China: Can I Use Skype, FaceTime or WhatsApp? One of the common questions that people going to China will ask themselves is how they can communicate with people outside of the country. The purpose of this article is to present and analyze each of the possibilities for making calls and video calls from China. 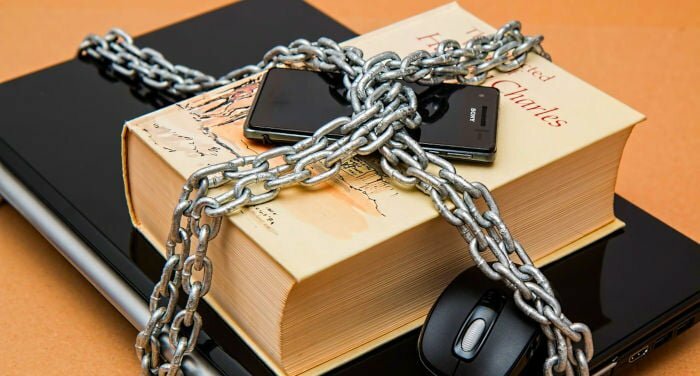 As you should already know, a large number of apps and websites can’t be accessed freely in China, and you are going to need a VPN or an alternative system to get around the Great Firewall of China. Despite the fact that some inaccurate news is still circulating online, Skype is NOT blocked in China. However, if you try to download the Skype app on the iOS app market or one of the Android markets (Google Play is blocked) once you’re in China, you won’t find it. In addition, if you want to access the Skype webpage, you will be redirected to a Chinese webpage (skype.gmw.cn) where you will download a modified version of Skype that complies with Chinese regulations. Complying with Chinese regulations means that communications are redirected (and monitored) via a Skype partner in China. If you want to use Skype in China, I recommend that you download it to all of your devices before going, or if you’re already in China, that you download it with a VPN active directly from the official website and not from the Chinese version. The quality of calls and video calls with Skype from China is a bit lacking and it’s a good idea to use a good VPN to improve the quality, although it isn’t always enough. As of today, FaceTime continues to work in China without the need to use a VPN. So, if you have an iOS device, FaceTime is a good option for making calls from China. Despite the fact that the quality of video calls with FaceTime tends to vary somewhat, in general, it tends to be quite decent. Since 2017, WhatsApp has been completely blocked in China. If you want to use WhatsApp in China, you will need a VPN active on your phone. Using WhatsApp with a VPN to make calls is possible and its quality greatly depends on the quality of the VPN that you use. So, make sure that you choose a VPN that works well in China. WeChat is a very popular application in China and is a mix between a messaging app (similar to WhatsApp) and a social media platform (similar to Facebook). In addition, it has many other functionalities, such as payments at businesses, booking taxis or a blogging platform. To learn more about this app, you can read our complete guide. WeChat lets you make video calls in a way that’s practically identical to WhatsApp, with the advantage of the fact that because it’s a Chinese app, it isn’t blocked and you won’t need to have a VPN active to use it. Between devices within China, the quality of video calls is very good. When you call devices located abroad, the quality of video calls is quite good, although it is somewhat affected by the Great Firewall of China. In this sense, it has improved greatly over the past years, as a couple years ago, it was almost worse than Skype. If you want to communicate between two devices that are outside of China, the quality is a bit poor if you compare it to other systems. The large majority of the other popular apps in the West for making video calls are blocked in China. Examples of these include Facebook Messenger, Google Hangouts, LINE, Viber or Google Duo. Other less popular apps might not yet be blocked, but if you want an app for making video calls that you don’t need a VPN to use, WeChat will be your best option. It’s obvious that you can continue to use your phone to call from China to abroad, but it’s going to be expensive, especially if you’re using a SIM card from another country. If you have a prepaid Chinese SIM card, you can make calls abroad, but normally you have to activate the service. By default, this service is blocked on new telephone numbers. Companies offer monthly plans for calling abroad. For a monthly fee, they will offer you a fixed number of minutes and a reduced rate for each extra minute that you use. The price will vary greatly depending on the country that you want to call. If you want to learn more about prepaid SIM cards in China, you can read this article. Although virtual telephones don’t usually allow calls from China, this is a very good option for receiving calls from abroad at a low cost. A virtual telephone will allow you to receive calls directly to your telephone number, whereas the people calling you will be calling a local number from your country. To learn more about how to use a virtual telephone number to receive calls in China, you can read our complete guide.